This has been my favorite online purchase so far. I love this bed so much! I got it in Navy Blue and it's very dark almost like a sapphire stone. Our walls are gray and our comforter set is gray too, the buttons on the bed are silver so everything kind of fits together. If you're looking for a beautiful bed, I recommend this one. I absolutely LOVE this bed!! It’s perfect for our guest room. We got the queen size silver grey and it’s stunning. 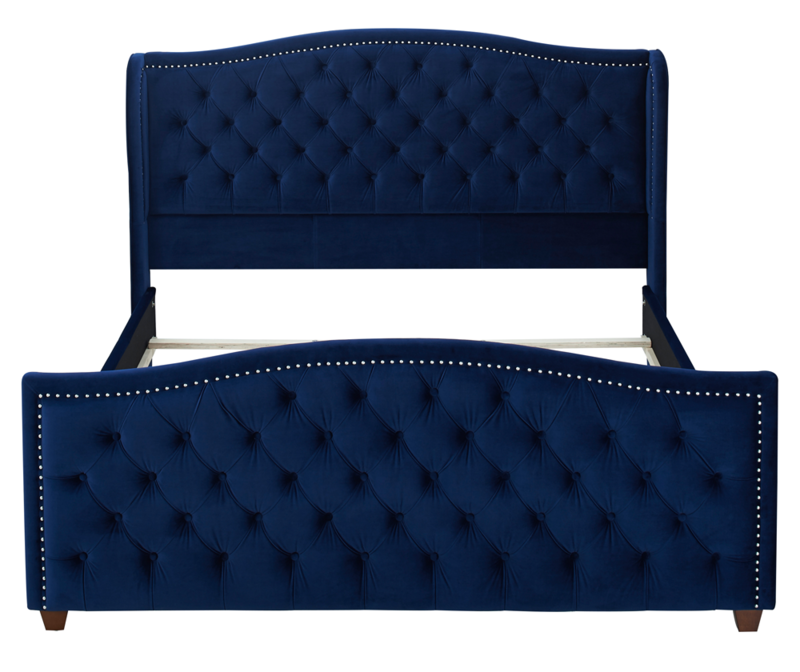 I love the beading and tufted headboard-footboard. It will definitely add elegance to your bedroom. I used a 5 inch low profile box spring (per review recommendations) and 13 inch mattress and am so glad I did!! I didn’t want the mattress to spill over the footboard or have the beauty of the tufted headboard hidden. Do your self a favor, BUY IT. I can’t wait to put together our brand new bed — I was so lucky to get it as it comes in and out of stock so fast ( which shows me what a great and popular product it is). A beautiful bed for our new home! The bed is beautiful with the color blue just stands out truly amazing. This bed gives the room a elegant feel I definitely sleep much better . We got this frame in light grey and king size. Very nice looking bed. We’ve had it set up for about a week now. Feels nice and sturdy, no squeaking or creaking. I set it up by myself and spend about an hour and a half from unpacking to last screw. Easy directions to follow, all pictures. Very happy with the purchase and would recommend. I absolutely LOVE this bed! King size box springs fit perfectly into frame. I love that this bed encases everything so you don't see the box springs and you don't need a bed skirt. The color is beautiful, and I feel like I'm sleeping in a 5 star hotel. I of course had to purchase a nicer comforter to match better with the headboard. This bed is extremely sturdy, and took my husband and I about 90 minutes to assemble. I'm so happy with this purchase! Cannot say enough about how much I love this bed! It was easy for my husband to assemble. I say that because it was delivered around 2pm and assembled before I got home at 4pm. It is very sturdy and well-made. Great quality for the price. This bed is beautiful! We are so happy with this purchase. Nice silver grey color and it looks solid and constructed well. 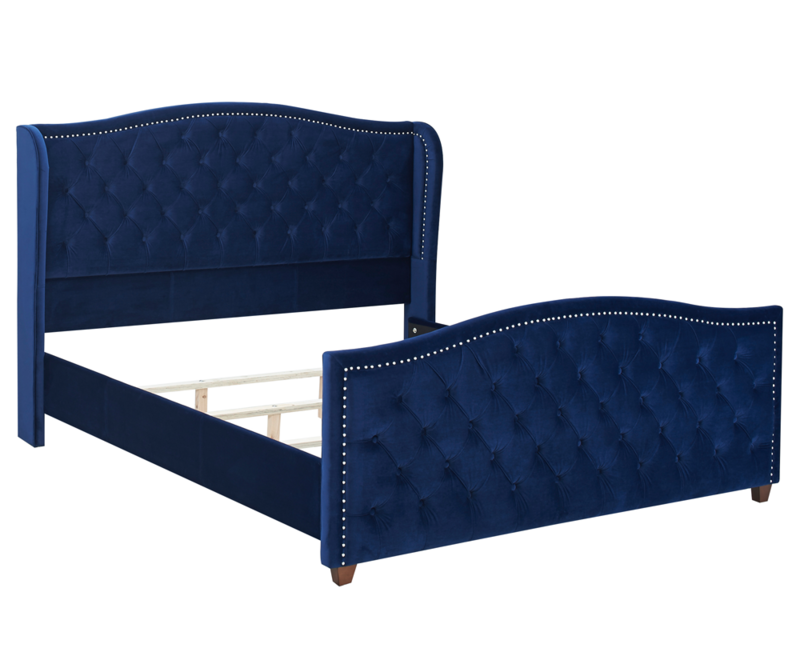 It’s one of the nicest upholstered beds I’ve seen and it took me months to find a bed I loved like this!